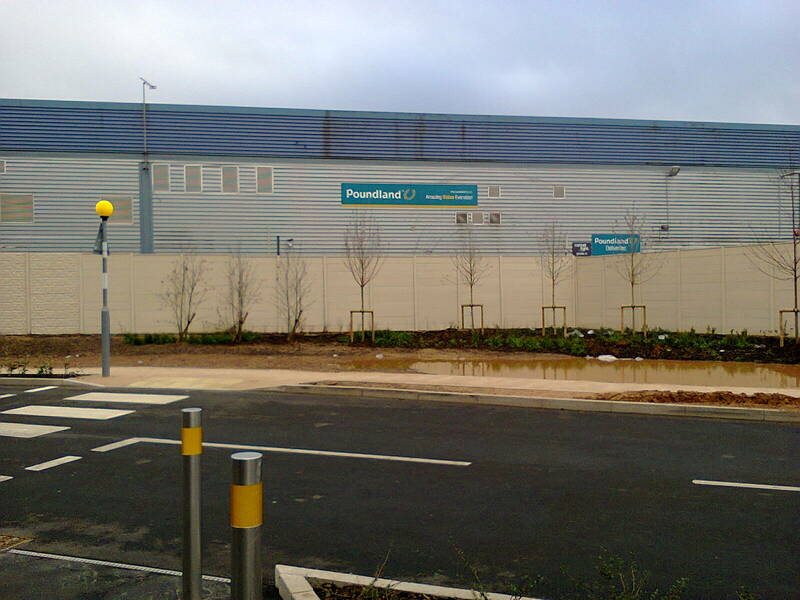 A huge wall prevents people from walking the short distance from Sainsbury's to Poundland. Instead you have to cross the Sainsbury's car park, skirt around the petrol station, walk along a narrow pavement divided into two to provide a two-way cyclepath that is too narrow for two cycles to pass, walk past Homebase, and walk in the road to a flight of steps which must be climbed to get to the next car park, from where you can finally get to Poundland. In his book 1989 book "The Lost Continent", Bill Bryson describes something identical, but in America, and how its design makes walking difficult. Birmingham City Council claims to be creating a "Green Travel District" in Selly Oak, but all it has done has proved that none of those involved in its creation read or learn.